As a tourist destination, Canada’s capital city is sometimes overlooked in favour of larger cities such as Vancouver, Montreal and Toronto. 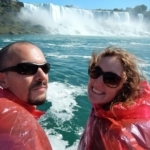 But backpacking Ottawa is highly rewarding, even if you can only spend one day in Ottawa. The city has plenty to offer visitors, even if you’re on a budget. Here’s the best way to see Ottawa in a day. If you don’t have your own vehicle, like us, you can easily book a bus or train to Ottawa from Toronto or Montreal. 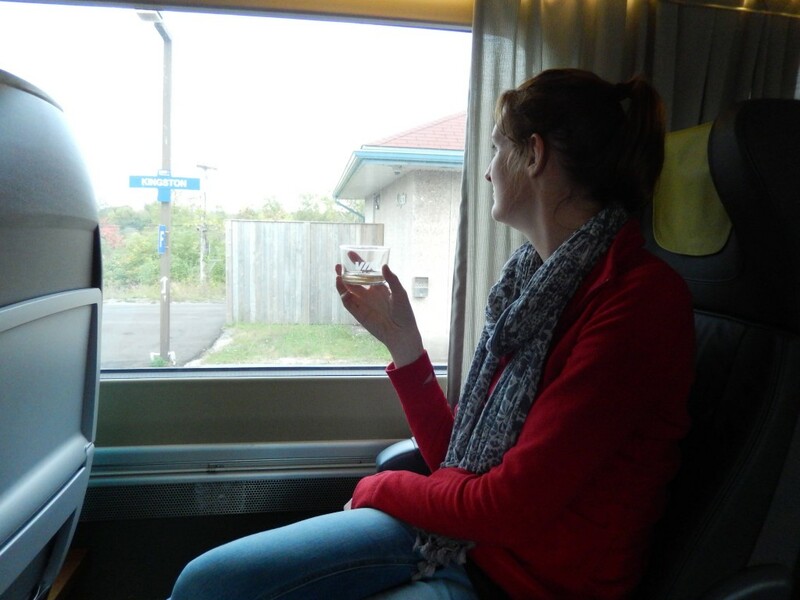 Having mostly travelled in Canada by bus, we decided this time to take a train journey. VIA Rail, Canada’s national passenger rail service, spans the 7767 miles from coast to coast across this vast country. There were a number of conferences being held in the city this week, so finding budget accommodation close to the city centre was almost impossible. So we booked an Airbnb room across the Ottawa River in Gatineau. 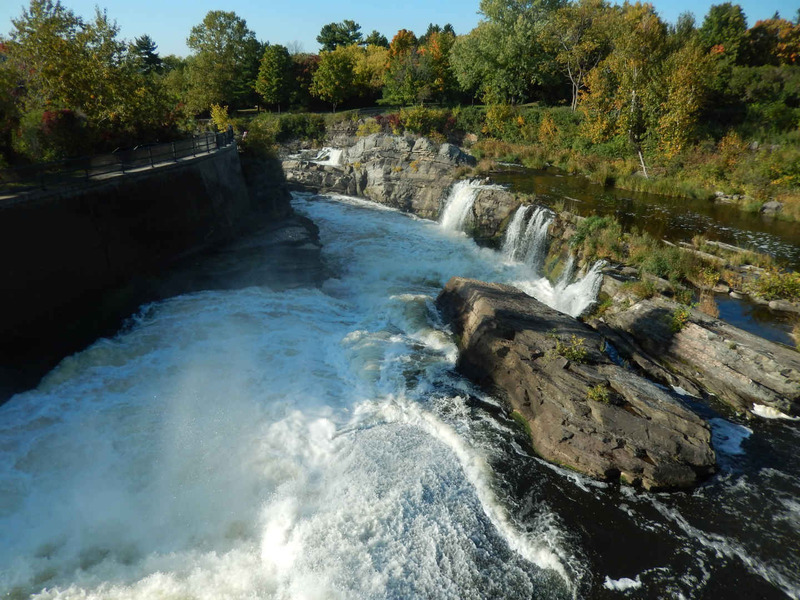 While it felt like a suburb of Ottawa, it’s actually the fourth largest city in the neighbouring province of Quebec, so suddenly we were in French speaking territory. Our hosts were Annie and Vincent, a cool and friendly young French Canadian couple. Enjoying home cooked meals and wine together, we learned they were originally from Montreal and had come to Ottawa to study at its prestigious universities. Their advice? It’s good to have a car here. Oh dear. We’d have to rely on the confusing bus systems to travel the 20 minutes into town. For hotel options in Ottawa, click here to find out availability. 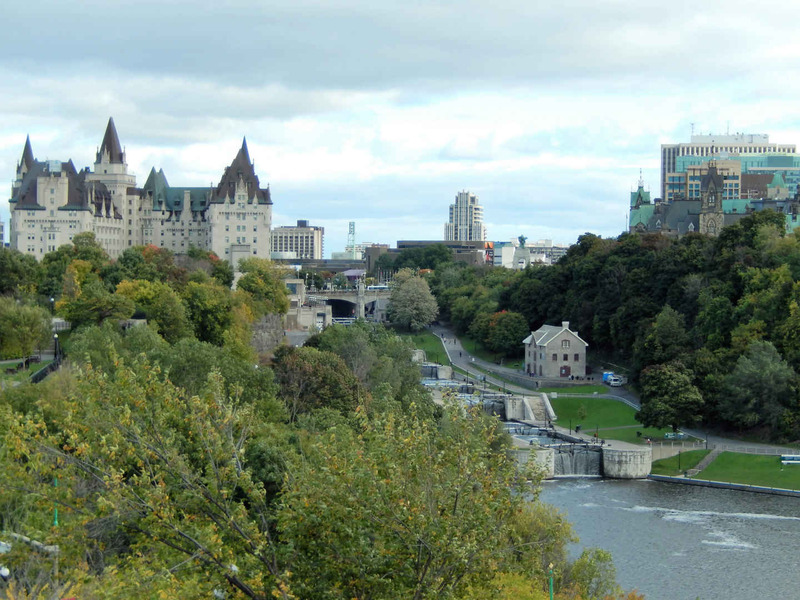 Ottawa is much smaller than Toronto, so it is easy to walk around within a couple of hours. While it lacks Toronto’s cosmopolitan, glamorous big city feel, Ottawa’s architecture sets it apart and makes it feel special. The Gothic and Neo-Gothic Parliament buildings are reminiscent of old world European palaces, while the innovative contemporary architecture of Ottawa’s museums provides a welcome contrast. From Major’s Hill Park we could admire the views over the river to Parliament Hill and appreciate what an attractive city it is. 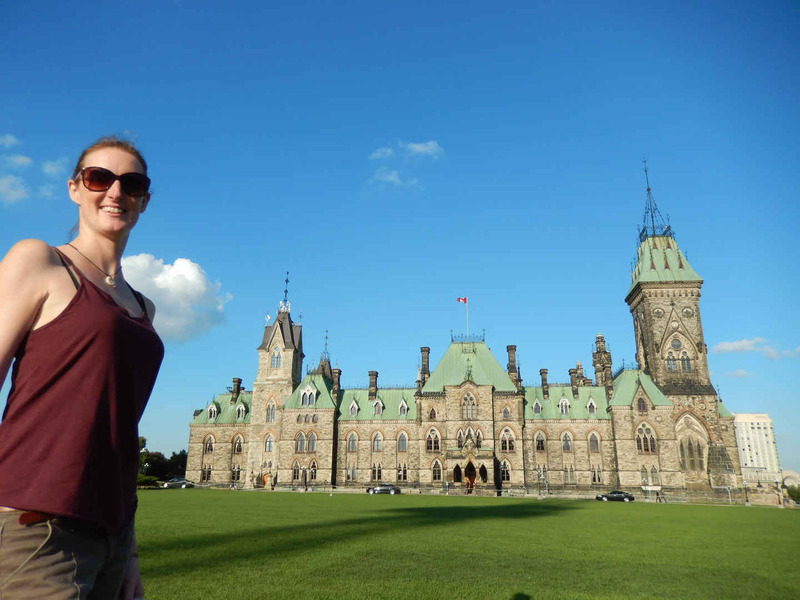 If you’re deciding what to see in Ottawa in one day, the Canadian Parliament is an essential stop. The Parliament buildings were built between 1859 and 1927 and are dominated by the statuesque clock tower, clung on to by a gaggle of gargoyles. After all the super modern buildings of Toronto, it was wonderful to see this proud architectural evidence of Canada’s history. We asked about the daily free 20 minute tour of Parliament, but an imminent visit by the Korean prime minister meant tours weren’t running that day. We had to make do with walking around the grounds of Canada’s seat of government, until we were ushered away by security guards. 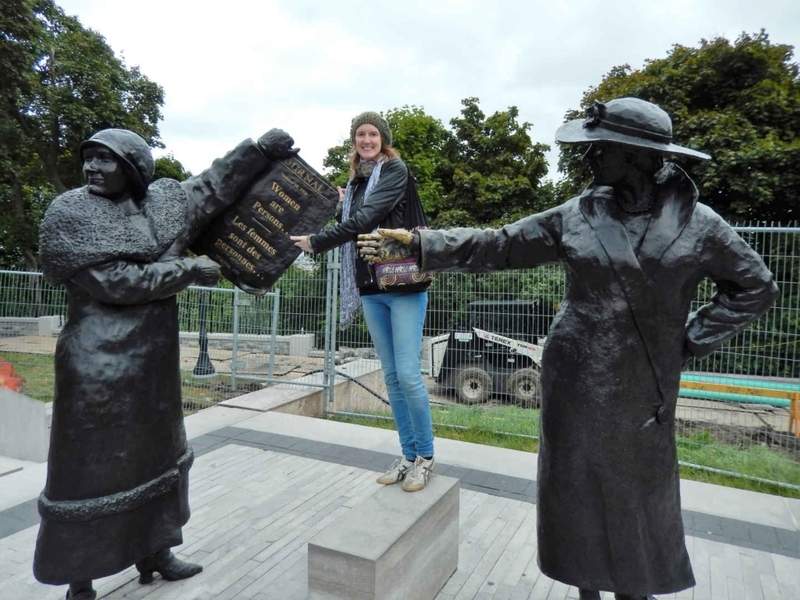 The statues gathered around the building included a monument to the women’s rights movement in Canada, which has a duplicate in Calgary, and a statue of Queen Elizabeth. There’s also a tribute to the devastating fire of 1916, which destroyed much of the Parliament Building. The rebuilds and extensions since are thankfully faithful to the original architectural style. On the front lawn sits water fountain with a constantly burning flame. Known as the Centennial Flame, it was lit in 1967 to commemorate the 100th anniversary of the Confederation of Canada – meaning it has been burning for almost 50 years. The main thrust of Ottawa tourism seems to be centred on its museums – perfect for the changeable autumn weather we were experiencing. One of the things we were most looking forward to seeing was an art installation outside the National Gallery of Canada: an enormous statue of a spider. Called Maman – French for ‘mother’ – this bronze arachnid is over nine metres tall. 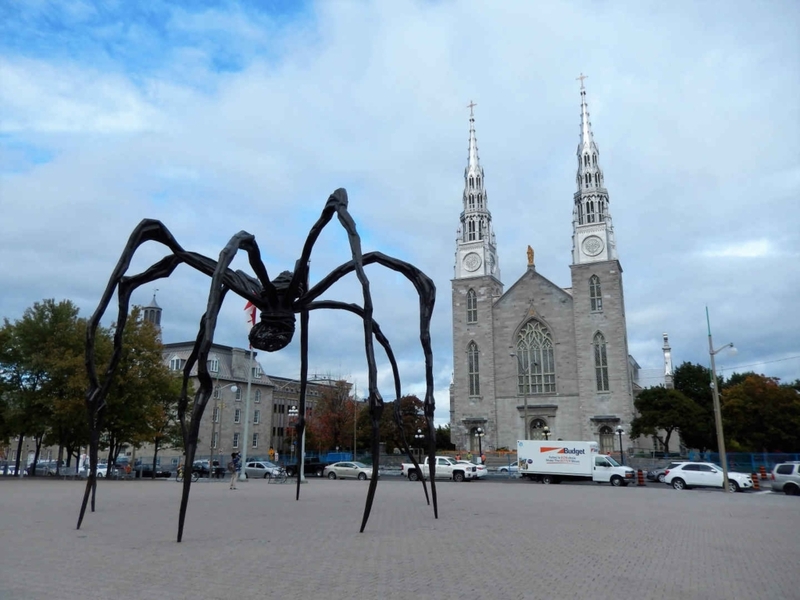 This eerie, over-sized sculpture was created by artist Louise Bourgeois to provoke fear, but simultaneously feelings of protection, as the spider’s body includes a sack of 26 marble eggs. The contemporary National Gallery of Canada building is an innovative space with panelled glass ceilings and interior gardens. The collection of art it houses is equally impressive, with works by notable American and European artists, including Van Gogh and Monet, as well as indigenous artists. Take a walk around the building and you’ll find more sculptures, revealing this centre’s commitment to art. 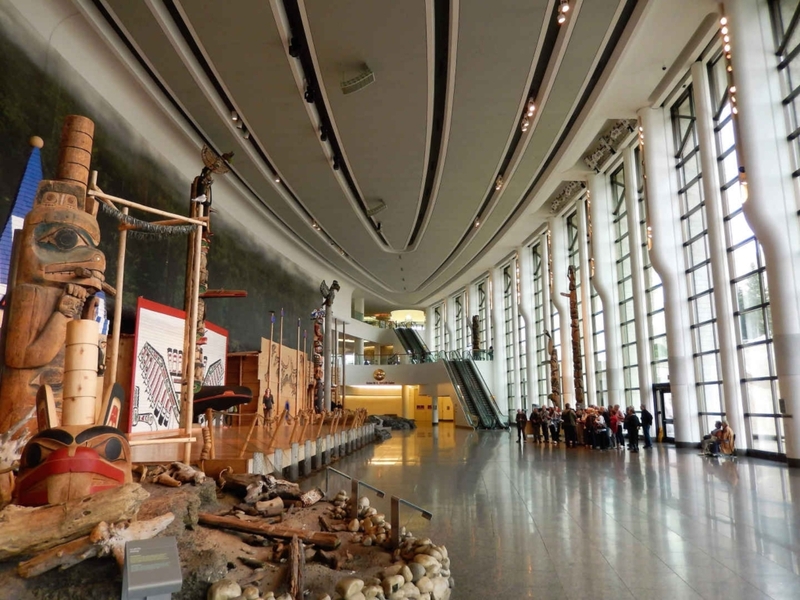 Another architecturally interesting building is the Canadian Museum of History, which tells the story of Canada’s people over a thousand years of history. It houses the world’s largest indoor collection of totem poles and provides a fascinating insight into the country’s native First Peoples. 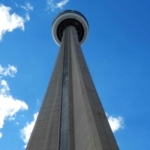 This is said to be Canada’s most visited museum, containing the Canadian Children’s Museum and an IMAX Theatre. It also houses temporary exhibitions, including one recounting Canada’s most devastating sea disaster. The collision and sinking of the Empress of Ireland, on its voyage from Quebec City in 1914, killed 1012 people, but was overshadowed in history by the Titanic tragedy just two years earlier. 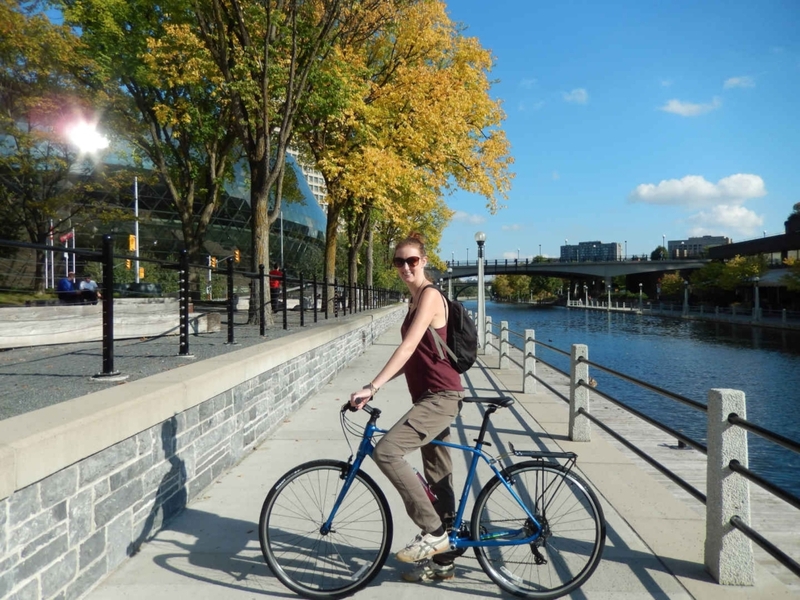 If you are lucky enough to be blessed with sunshine, one of the most fun activities in Ottawa is to take a bike ride along the pathways next to the Rideau Canal. Stretching for 125 miles, this waterway is a UNESCO World Heritage site. In winter, the canal is transformed into the world’s largest skating rink, at an impressive 4.8 miles long. As we cycled along in the sunshine, we passed the autumn trees changing colour and spotted a romantic love lock bridge, like the one we’d seen in Penang. It was sublimely relaxing to be surrounded by this beautiful natural scenery in the heart of a city. We made our way to the Hog’s Bag Falls, which created its own mini rainbow with its spray, before returning our rides to the hire centre, down by the canal near the Parliament Building. 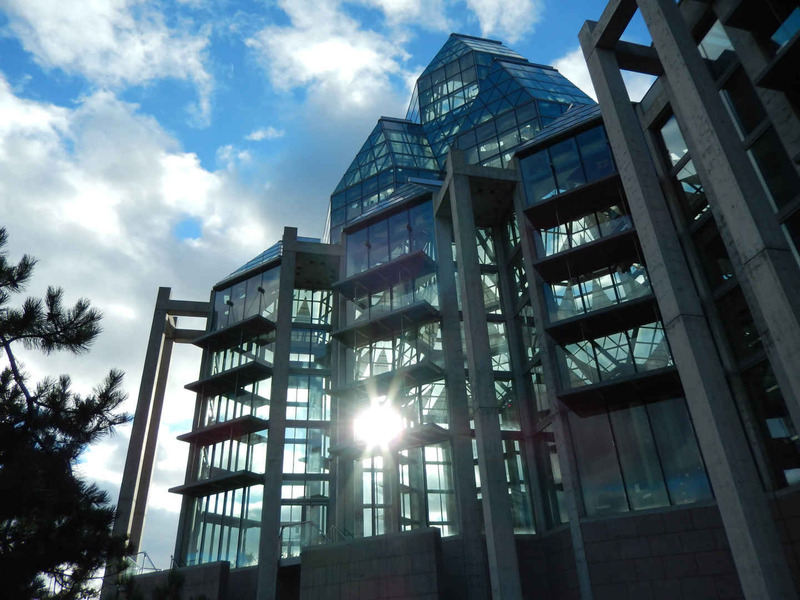 If you’re wondering what to see in Ottawa in one day, there are several options. If you’re lucky enough to arrive to sunshine, then a tour of the Parliament Building, followed by a stroll around the city and a bike ride along the canal would be a wonderful way to spend the day. This way you can truly enjoy the beauty of this city. If you’re a museum fan or an art lover – or it’s a rainy day – then Ottawa has an array of top quality museums and galleries to keep you entertained. In fact there are 21 in total, covering a range of interests. It seems to me that a lot of thought has gone into Ottawa’s museums to create something of note, rather than just another tourist venue. Inside and out, both the contents and the architecture, make them remarkable. And if you want to see it all? Yes, you can walk around for the day in Ottawa, but why rush? This isn’t a fast paced city. Spend a few days, take it all in and let yourself relax in this charming place. 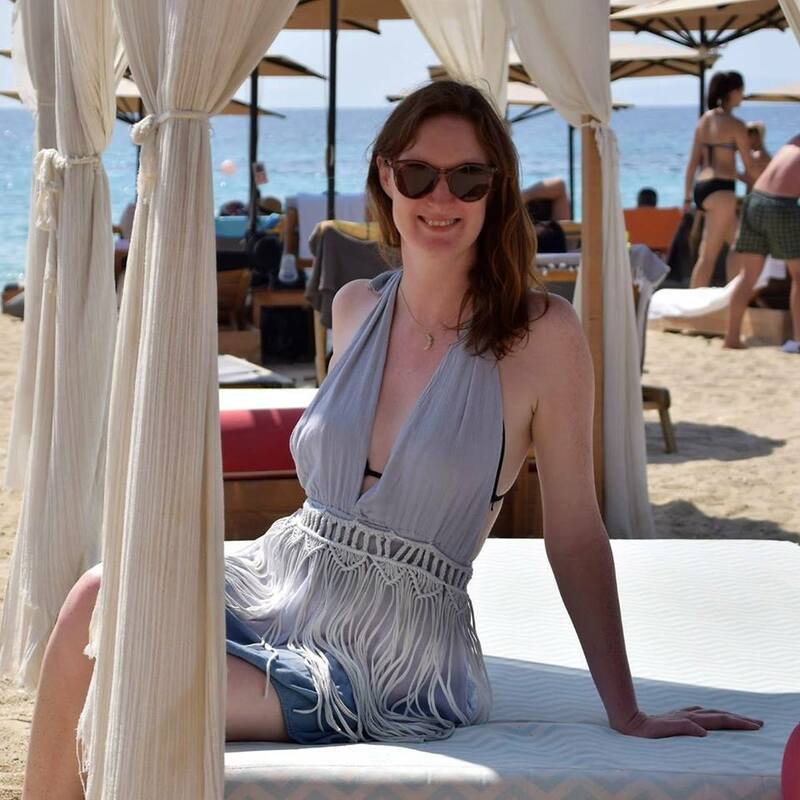 This post was brought to you with thanks to VIA Rail, the National Gallery of Canada, the Canadian Museum of History, Rentabike and Ottawa Tourism for hosting me. Next up, find out how to plan a Canada backpacking trip and the best way to cross the country, here.